If you live in Singapore or are about to take a trip out there and ride a motorbike, you can now use ‘motorbike mode’ in Google Maps. How good the function works is unclear just yet, but launched today, motorcyclists can now predict how long their journey will take as a matter of fact. The new feature, which first launched in India, will help provide routes to avoid any restrictions for motorcycles and use landmarks to make routes more memorable. Similar to the car feature, Google Maps will also give more accurate ETAs based on how fast the bike is travelling. The new ‘motorbike mode’ is also live now in Indonesia, Malaysia, Philippines, Thailand, Vietnam, Taiwan, Hong Kong and Myanmar. And if you’re wondering why it’s not available yet in the UK, well, we’re not sure either. However, at the end of last year GPS app Waze released a new update which meant you can use their app and change your vehicle type to ‘motorcycle’. 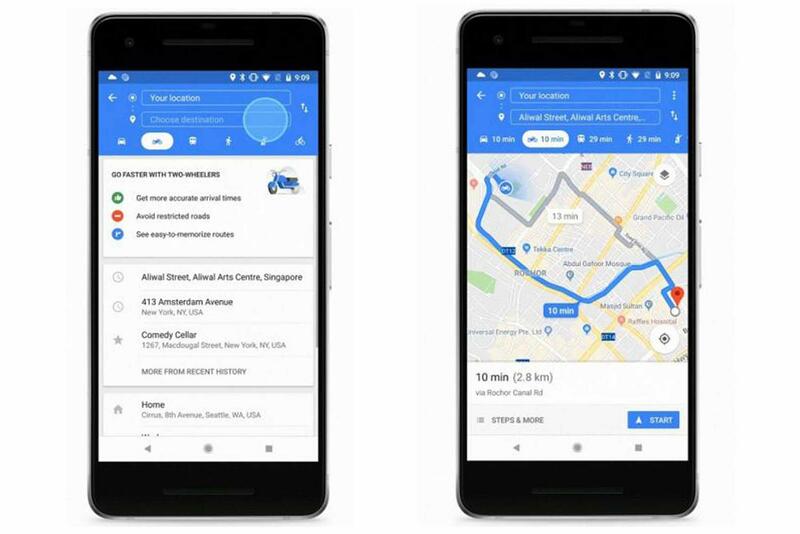 The Google-owned app made several updates for our two-wheeled friends, including improved routes based on information from fellow motorcyclists, better arrival time estimations and routing on narrow roads where cars are not permitted.